under a local anesthetic and takes approximately 4 - 7 hours from arrival at the clinic to leaving after the surgery is completed. 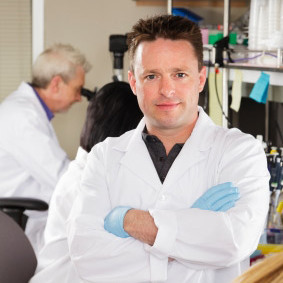 What’s Involved in an FUT Transplant? 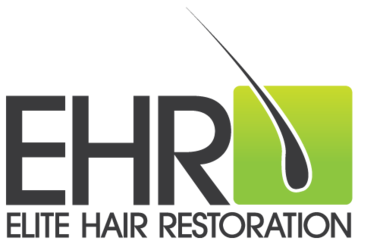 In an FUT Hair Transplant, hair is taken from a donor area on the back and sides of the head. This is because in nearly all cases, the back and sides of the head have the most densely packed hair follicles, even in severely bald men. Hair follicles are removed in a 'strip' under local anesthetic which is applied to the area. This strip of hair follicles is then separated into what are known as grafts or follicular units (1-3 hairs) under a stereo microscope by a qualified technician. Once the follicular units are ready for implantation into the recipient area, the surgeon makes pin-prick incisions over this area. The follicular grafts are then placed into these incisions in such a way to produce an extremely natural looking hairline and/or to thicken/create areas of missing missing or thinning hair. 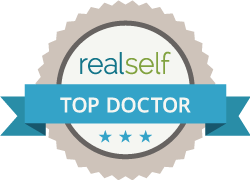 The results can be fantastic and once healed, it is very hard to tell that the procedure has been done at all. 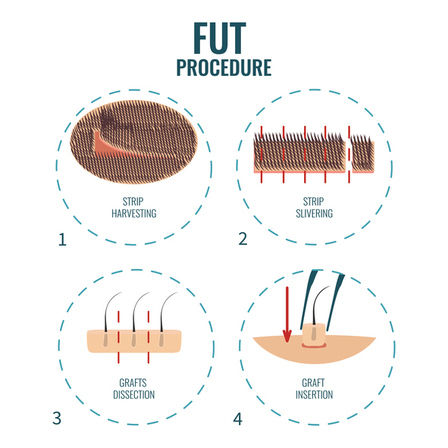 If would like any more information about the FUT procedure, we have compiled a comprehensive list of frequently asked questions which we are asked regularly by interested patients.